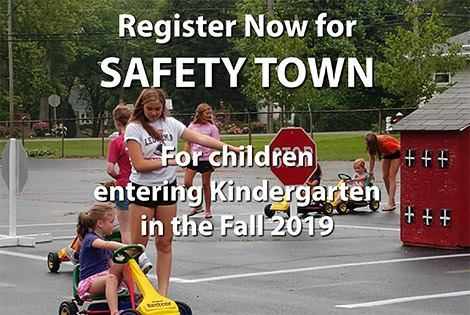 Safety Town is a single, two week program, Monday-Thursday mornings, held on June 10-13 and June 17-20, 2019. The curriculum teaches important safety lessons to children planning to enter Kindergarten in the Fall 2019. Now is the time to register — More information can be found here.